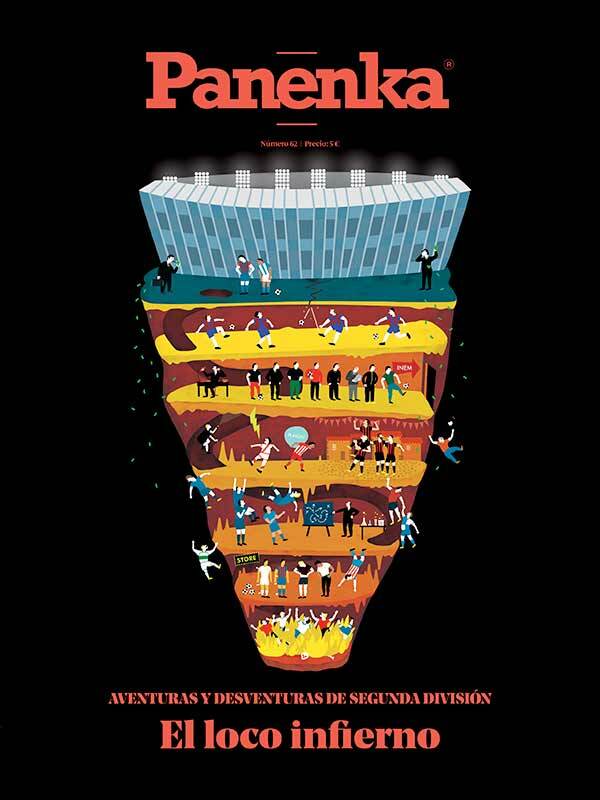 Entitled The Crazy Hell, this month’s edition of Panenka magazine features a striking cover illustration by Natalia Zaratiegui. Using a bold colour palette and intriguing details, Natalia's conceptual artwork has transformed the lower leagues of football into a burning hell. To see Natalia's portfolio, click here. Natalia Zaratiegui is represented by Meiklejohn. Published on 9 May 2017.